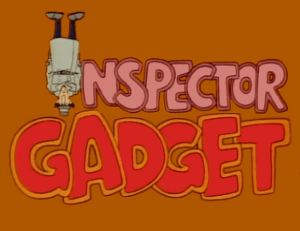 Check out our Inspector Gadget Shop! The following are full music pieces of the incidental background music used in Inspector Gadget. All music was composed by Haim Saban and Shuki Levy. I do not own any rights to any of the music. The majority of the music comes from the Inspector Gadget soundtrack album that was released in France in the 1980s and is currently out of print. All files have been edited by myself, and while all are dialogue free, many of them are not sound effect free. For those who enjoy incidental music in retro cartoon shows however, this is as close as one will get to a complete soundtrack. Angry Claw -- Often used as cliffhanger music before a commercial break. Arabian Desert -- Desert theme. Cliffhanger -- Another piece used just before commercial breaks. El Dorado -- Heard in "All That Glitters". Gadget in Hot Pursuit -- Chase music. Gadget in Japan -- Also heard in a couple of M.A.S.K. episodes. Italian Gadget -- Heard toward the end of the second season. Martian Invasion -- Heard in "The Invasion".